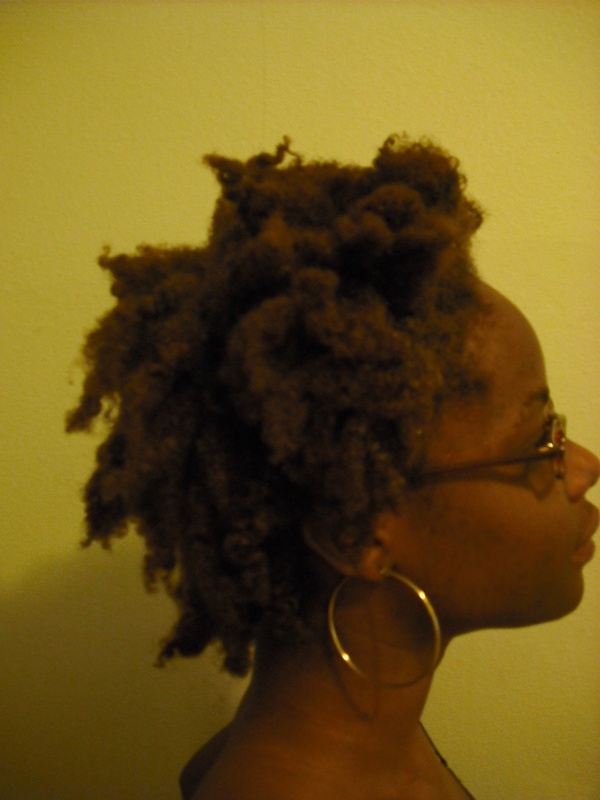 My Successful Wash and Go! I’ve had my hair in plaits since right after school ended so perhaps a month or so and last week I was using vinegar mix in my hair before I shampooed. Thus, my hair was in plaits while wet. When undid the plaits to go wash my hair, hey presto! Now that’s more how I like it! It was nice and piecey all over and this is more of how I envision it should look. I think that leaving it in plaits before wetting it meant that it kinked up less and didn’t end up looking short. Of course the duration that it was plait probably had some input it how well it set. Now the trick will be to recreate this at some other point. I’ll get around to that sometime during the spring/ summer or some extraordinarily warm day out. Well thank you for staying on my blog long enough to read it! 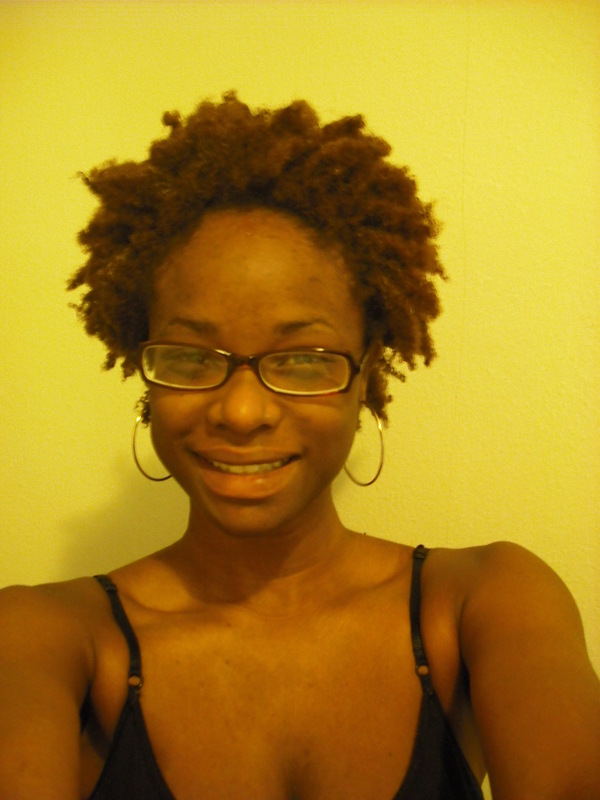 About breakage, I really don’t now that I’m natural. If I do, then it’s not enough that I notice, and I think if you’ve read my blog long enough you’d see that I’m checking out my hair everyday! Mostly my hair sheds. How do I know? Because I can always spot the tag where the root attached to the scalp. I want to get back to you on the good leave in conditioners because my friend found a few that I loved and I want to be sure I give you the right thing. Personally I leave in regular conditioner- Herbal Essences (the purple one)- and that does the trick for me.